Cindy and Ellen discuss busy lives and skin care advances to keep them looking great. 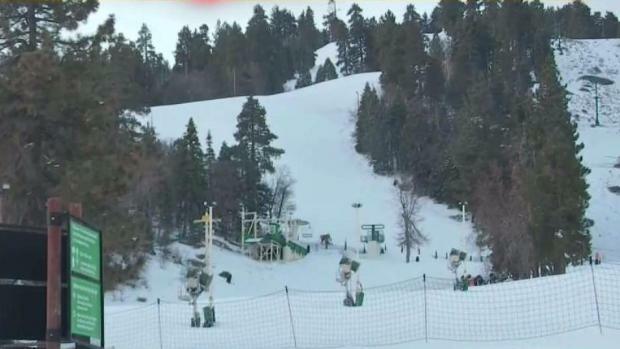 A late-winter storm is bringing snow and gusty winds to Southern California's mountains, which could mean hazardous driving conditions Friday and a busy weekend at the region's ski resorts. Travelers might encounter difficult driving conditions along highways 2 and 33 through the San Gabriel Mountains and other mountain roads. There is a chance that snow levels could lower to pass level by Saturday morning. The snow level has been ranging mostly between 5,000 and 5,500 feet and is expected to drop to between 4,000 and 4,500 feet late tonight into Saturday. Total snow accumulations of 12 inches or more are likely above 7,000 feet, with accumulations of 6 to 12 inches between 6,000 and 7,000 feet. Lighter amounts can be expected below 6,000 feet. Skiers and snowboarders are anticipating a late-winter snowfall in Southern California's mountain. Jonathan Gonzalez reports for Today in LA Friday March 2, 2018. Winds were blowing at sustained speeds of 25 to 35 miles per hour, with 50-mph gusts. 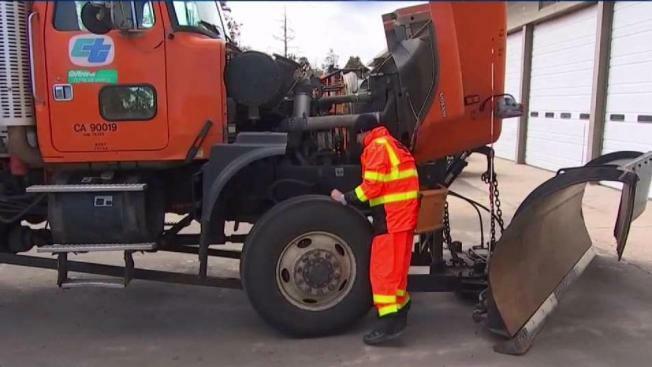 A winter storm warning, which indicates highly challenging travel conditions, is scheduled to be in effect in the San Gabriel Mountains in Los Angeles, Ventura and Santa Barbara counties until 4 p.m. Saturday. The system prompted flash flood warnings early Friday in Santa Barbara County. Moderate rain was reported in other areas.